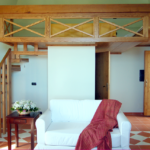 Superior room with a double bed, a single bed and two sofa bed; It can also accommodate families of up to five people. 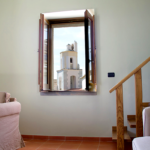 The room has two large Windows at Southwest corner overlooking the sea and the village of Pontone. 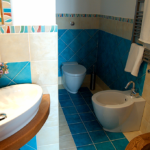 The bathroom is inlaid in bright colors.